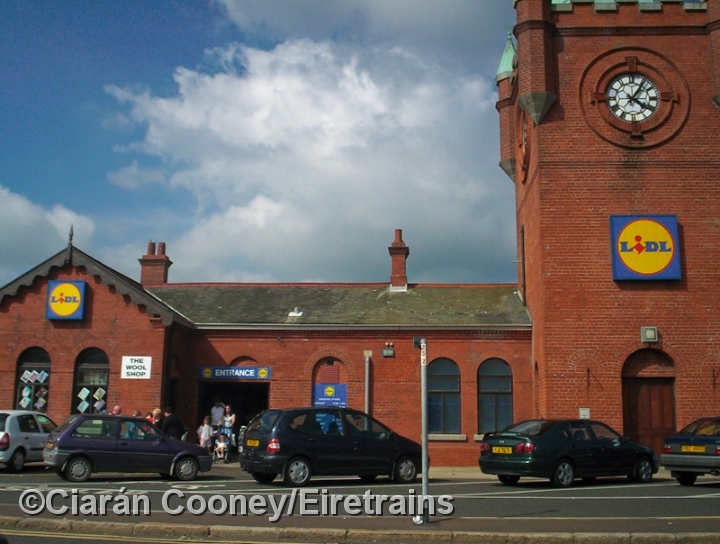 Newcastle, Co.Down, a one time seaside town, was first served by rail when the Belfast & County Down Railway opened their line south from Downpatrick in March 1869. 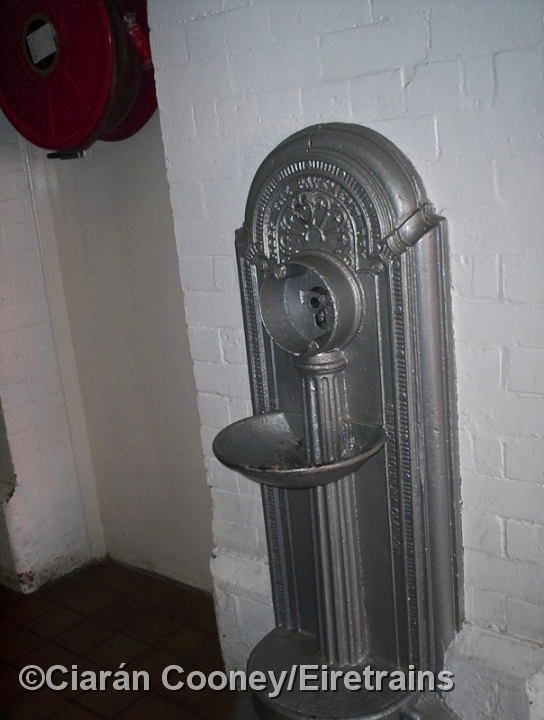 The present BCDR station that remains at Newcastle actually dates from 1905, when it was remodelled to accommodate the Great Northern Railway's built line from Banbridge. 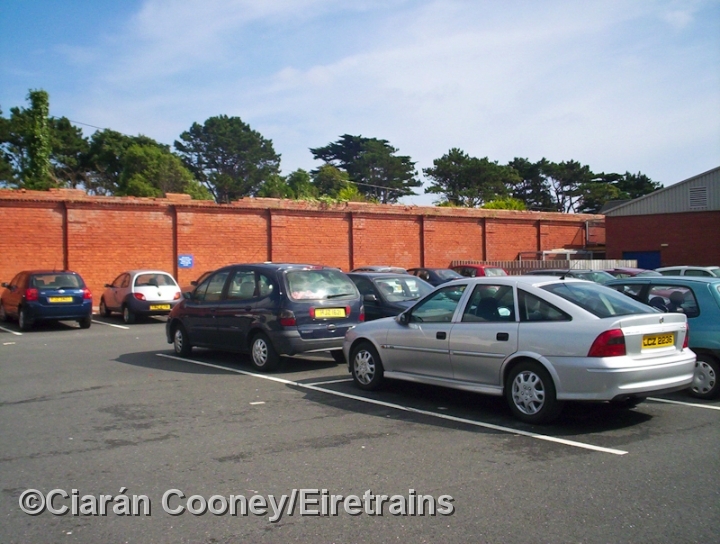 The BCDR line from Belfast was closed completely in January 1950, with the GNR line closing completely in May 1955. The station at Newcastle is a large Victorian style brick built terminus, that had two platforms one each for the BCDR and GNR lines. 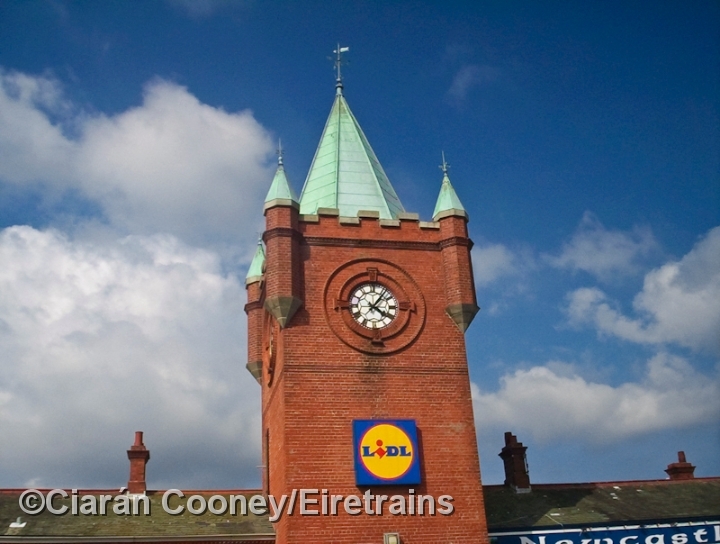 The station also retains its characteristic clock tower, not very common on Irish railway stations. 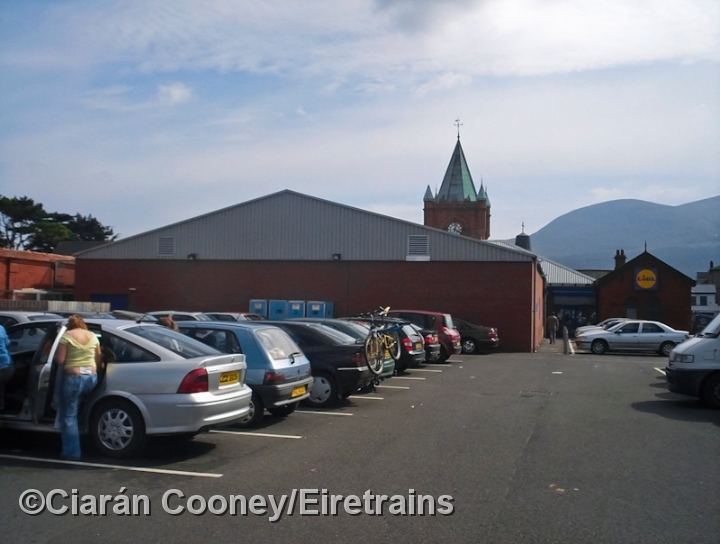 At the back of the former station is the platform retaining wall, and nearby the ex BCDR Slieve Donard hotel.